A second trip to Antonio's Restaurant was just what the doctor ordered on this beautiful Saturday. Since I wasn't feeling up to par, Mom and I decided to revisit Antonio's today at 3 p.m. to see if we could get an official review completed. We were lucky this time - no one was staring at us! Thank goodness for that, because I was not in the mood to be seen. I just wanted to have a good meal, and that's just what I got. We parked in Antonio's large lot located across the street from the restaurant. We entered through the red dining room door (on the far left) and were quickly seated by one of the waitresses. She left us with two plastic-covered menus and a paper list of daily specials. Mom and I were hoping to get the very last seat by the window (so adorable), but alas, we were seated on the side of it. Maybe next time. We were soon joined by a waitress, who we later found out was named Rosa. Rosa asked what we would like to drink, and Mom and I both ordered a Diet Pepsi. The two drinks quickly arrived in plastic glasses. The soda was actually fountain soda, which I love because of the sugary sweetness. Even Mom really enjoyed it, and she really only likes soda when we go out to eat. Mom asked Rosa if we could have a few minutes to narrow down our choices because there were just so many. When we finally made our decision, Rosa reappeared to take our order. Mom chose the cacoila platter ($7.95) which came with fries and rice. I ordered the crab cakes ($8.95) which also came with rice and a side salad, which I chose to have with Italian dressing. 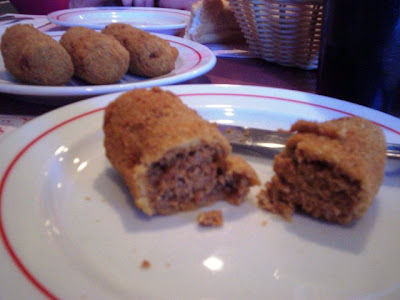 Also, because we loved them so much the last time, Mom and I ordered a plate of four meat croquettes ($.75 each) as our appetizer. As Rosa took away our menus, Mom and I both commented on how busy the restaurant was, and apparently always is (according to our fans). For a Portuguese restaurant, Antonio's is sprinkled with American country decor. Big wreaths with dried flowers, large paper mache grapes, porcelain plates decorated with lobsters, wooden mirrors, and beautiful floral curtains surrounded the dining room giving it a very homey feel. What I liked about all the knickknacks is that they were placed high on a large shelf that seemed to go all the way around the room, making the small space actually look taller. The calming green paint and side shelves used for keeping condiments off the tables seated next to the walls were a great touch, as was the oddly matched instrumental jazz music playing in the background. 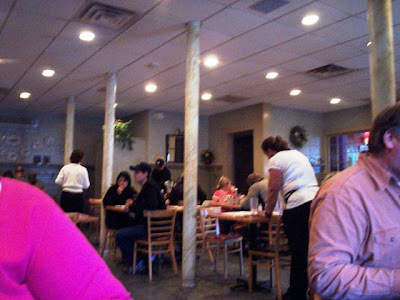 All the waitresses were dressed in white shirts and black pants, which I assume is the unofficial uniform of Antonio's. There are no booths in the dining room, and each wooden table had a mauve top and was covered by place mats featuring local businesses. The bar area, although located next to the dining room, was separated by a large wall with a built in window. Rosa returned to our table to bring over my salad. The greens, tomatoes, and onions were very fresh, as was the Italian dressing that came on the side. After what seemed like a few seconds, Rosa came back with our meat croquettes and a basket of Portuguese bread (one bun and some sliced pieces). Just like on our last visit, the meat croquettes were outstanding. Made with a mixture of beef, pork, and chourico, the croquettes are formed into little log shapes. They then are lightly coated and deep fried, giving them a nice crispy exterior with a delicious, moist, meaty interior. They make a fantastic appetizer, but Mom said she could sit there with some fries and make a meal out of them. They're just that tasty. 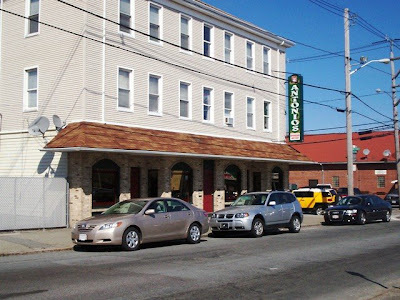 Since there are a lot of Portuguese people in this part of Massachusetts, no one is surprised to see a plethora of Portuguese restaurants in both Fall River and New Bedford. However, Antonio's is really something special. Starters include cod fish cakes ($.75 each), shrimp croquettes ($1.25 each), fried squid ($7.95), and little necks bulhao pato ($10.95) which is little necks steamed in olive oil, garlic, and parsley. Soups include kale (bowl - $2; quart - $4) and chicken and rice. Sandwiches include the fish ($5.25), pork steak ($5.25), grilled sirloin tip ($6.25), and the linguica ($5.25). For the main event, chicken dishes include the boneless fried chicken ($9.95), sauteed chicken with little necks Spanish style (dinner - $11.95; lunch $7.95), and the chicken Antonio's with shrimp ($12.95), which is chunks of chicken breast and shrimp steamed in a zesty saffron sauce served with fried sliced potatoes. 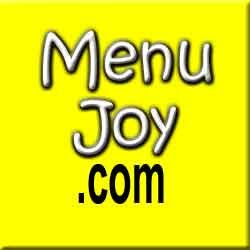 Meat dishes include the barbecued meat ($10.95), pork meat ribatejana ($13.95), surf and turf ($17.95), grilled lamp chops ($17.95), and the steak chef's choice (for one - $16.95; for two - $22.95), which is pan seared beef tenderloin, steak, and chicken breast with a beef flavored brandy sauce and four battered fried shrimp. Fish dishes include the sardines ($9.95), salted codfish ($11.95), grilled native scallops with lemon butter ($10.95), broiled scrod ($11.95), and the paella (for one - $16.95; for two - $22.95), which includes an assortment of lobster, scallops, mussels, little necks, shrimp, chicken, beef, and rice simmered in a saffron broth. Antonio's also has a children's menu, as well as a list of homemade desserts including their delicious caramel pudding flan custard ($2.95) and the cheesecake with strawberries ($3.95). Party platters are also available, where you can order large "hotel" pans of cacoila ($60), paella ($75), and other delicious dishes. You can even order dessert in bulk! In another flash, our food was ready. On both visits to Antonio's, our food has arrived at our table in record time. Mom's cacoila plate was huge! She said that it was really enough for two people. Cacoila, in case you don't know, is boneless, cubed pork marinated in a spicy sauce until it's fall-apart tender and absolutely delicious. 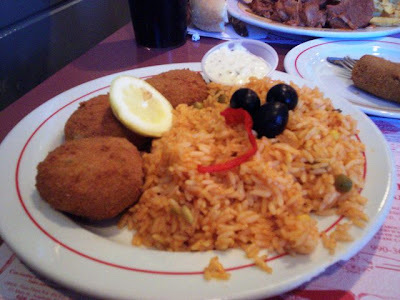 Half of the plate was loaded with the cacoila, while the other half contained a mound of fries and a pile of yellow rice. Needless to say, Mom couldn't finish the meal, and ended up bringing half of it home to Dad. The meat was so tender that no knife was needed. You could literally just pull it apart. She would definitely order this meal again, and maybe even get it in the sandwich that they offer ($5.25). At first, I was a little concerned that I hadn't gotten enough crab cakes. In reality, I'm fatter than I have ever been in my life, yet I am always worried that I'm going to starve in a restaurant. Go figure. I was just disturbed at the amount of rice that covered my plate versus the number of crab cakes that were sitting there. However, once I started eating the cakes, I realized why they had only given me three - they were FILLING. Stuffed with a ton of crab meat, you could actually see the minced veggies and taste the delicious bread crumb topping with every bite. A side of tartar sauce accompanied my dish, and that was delicious as well. The cakes were so good that I gave a piece to Mom to try, and she vowed to order this dish on our next visit. The crab cakes were really excellent, and I certainly did not go hungry (thank God). For all the food we had, this price was definitely a steal. We left $29 on the table for Rosa, which included a 20% tip. On this particular day, we did not visit the restroom. However, since the dining room is very clean, we expect that the bathroom is of the same standard. 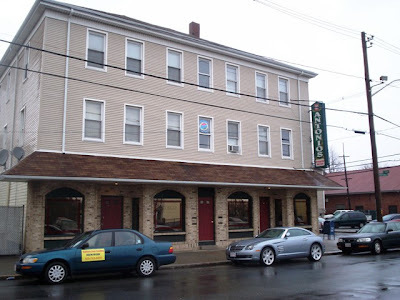 On every local restaurant Web site that Mom visits, they always mention Antonio's for the best Portuguese food. Now that we've visited twice, we can definitely agree with the high rating that everyone gives it. With great service, food, and prices, you should definitely check out Antonio's Restaurant, but get there early! Waiting in line on an empty stomach is just torture. Antonio's Restaurant is open from 11:30 a.m. to 9:30 p.m. Sunday through Thursday, and 11:30 a.m. to 10 p.m. on Friday and Saturday. Mom and I decided to try a meat croquette and a cod fish cake for an appetizer ($.75 each). They were OUTSTANDING. 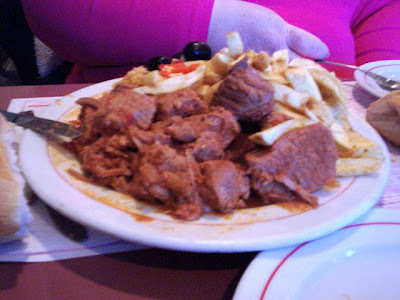 The meat was a blend of pork, beef, and chourico, while the cod cake was flavored with minced vegetables. For my entree, I had the junior (8 oz.) Antonio's steak ($9.95), which arrived on a platter framed with a pile of homemade fries and yellow rice. The steak itself was topped with a piece of ham and a fried egg. Mom ordered the fish and chips ($8.95). Both meals were fantastic. Mom's fish was very white, flaky, and not at all greasy. My steak was cooked perfectly and the ham and egg complimented it very well. We both enjoyed the fries. For dessert, we each ordered a piece of flan. I'm not sure if it was homemade, but we each received a large piece topped with a dollop of whipped cream. It sat in a caramel-like sauce and was very flavorful. The bill came to $30.80, and I left $37 for the waitress. The service was excellent, the dining room was packed, and parking was a breeze with the extra lot across the street. We will DEFINITELY be going back a second time - maybe even this Saturday. Both Mom and I now understand why everyone has been recommending Antonio's to us. I promise you - next time there will be pictures! Lots of pictures of delicious food, and delicious food it was.